A luxury 13-storey apartment building overlooking the greenery of the US Embassy housing compound. This apartment was directly below the penthouse floor – where a 3-Bedroom penthouse apartment is currently listed for sale for 480,000,000 Yen. Current asking prices in this building are between 2,400,000 ~ 2,850,000 Yen/sqm. When new, apartment had an average price of around 2,190,000 Yen/sqm. All new apartments had sold out off-the-plan by February 2014 – 7 months before construction was completed. A 32-story apartment building that forms part of the Ebisu Garden Place complex (a large mixed-use development including office, restaurants and the Westin Hotel). Despite the age of the buildings, apartments in Ebisu Garden Terrace have been trading at prices similar to newer buildings in central Tokyo. This was a large apartment on a mid-floor. This has been the second highest reported sale on a price-per-square-meter basis in this building over the past 18+ years. The average sale price in 2016 was 1,447,000 Yen/sqm, down 13.3% from 2015 (1,670,000 Yen/sqm), but up 28% from 2013 (1,130,000 Yen/sqm). In 2007-2008, apartments were selling for around 1,650,000 Yen/sqm. A 34-storey high-end apartment building located a few hundred meters from Shibuya Station. The station area is undergoing a massive redevelopment and transformation over the next 10 years. Although there are 314 apartments in the building, only 2 were listed for sale in March, with an average asking price of 2,080,000 Yen/sqm. There was also only 1 rental listing available. This apartment was a large apartment on a mid-floor. It sold for approximately 0.5% more than an identical apartment a few floors down sold for in 2015. This has been the most expensive reported re-sale in this building on a price-per-square-meter basis since early 2008. There have been 2 reported re-sales in 2017 with an average price of 1,784,000 Yen/sqm. The other re-sale was a 1-Bedroom apartment on a very low floor which sold for 1,667,000 Yen/sqm. It was tenanted and purchased by an investor. The gross yield was approximately 4.1%. A large-scale, mixed-use development with office, retail and luxury residences near Shin-Ochanomizu and Akihabara Stations. This apartment sold for approximately 8% less than a similar apartment downstairs sold for in late 2015. The average sale price to date in 2017 is around 1,848,000 Yen/sqm. The average sale price in 2016 was around 1,975,000 Yen/sqm. Despite having over 300 apartments in the 41-storey building, there was only 1 apartment available for sale as at March 2017. A 36-storey high rise in the Azabu Juban area with concierge, gym, guest suite and resident lounge. Current asking prices in this building range from 1,750,000 ~ 2,600,000 Yen/sqm. Apartments on the 10th floor and lower have an average asking price of around 1,750,000 Yen/sqm, while apartments on floors 20 and above have an average asking price of around 2,220,000 Yen/sqm (approx. 27% more than lower floors). There have been 3 reported re-sales to date in 2017 with an average price of around 1,819,000 Yen/sqm, up 1.0% from 2016 (1,837,000 Yen/sqm), but down 1.0% from 2015 (1,838,000 Yen/sqm). This was a compact apartment on a high floor with south facing views (no views of Tokyo Tower). An identical apartment on the same floor but with Tokyo Tower views sold for 1,903,000 Yen/sqm in late 2015. A similarly sized apartment facing south and a few floors down sold for 1,353,000 Yen/sqm in early 2014, indicating a potential appreciation of around 40% over the past 3 years. A high-rise located a 9 minute walk from Omotesando Station and 650 meters from the Olympic Stadium site. When new, apartments had an average price of 1,327,000 Yen/sqm. The current asking price in this building is around 1,679,000 Yen/sqm, with apartments on higher floors having an average ask of around 1,745,000 Yen/sqm. This was a compact unit on a high floor. It has been the highest reported resale in this building on a price-per-square-meter basis since the building was completed in 2013, and sold for approximately 21% more than an identical apartment on a lower floor sold for in 2015. A 1-Bedroom unit on a low floor also sold in March for 1,513,000 Yen/sqm. The average resale price to date in 2017 has been 1,653,000 Yen/sqm, up 14.6% from 2015 (1,442,000 Yen/sqm). There were no publicly reported resales in 2016. A 30-storey high-rise located alongside Shirokane’s gingko tree-lined Platinum Avenue. The average asking price in this building is currently 1,915,000 Yen/sqm. Apartments on the 10th floor and below have an average ask of 1,625,000 Yen/sqm, while apartments on the 20th floor and higher have an average ask of 2,040,000 Yen/sqm (approximately 25% more than lower floors). This apartment had a price of 1,357,000 Yen/sqm when sold off-the-plan by the developer, indicating an appreciation of around 30% over the past 2 years. The average resale price in 2016 was 1,639,000 Yen/sqm, up 1.7% from 2015 (1,611,000 Yen/sqm). A 45-storey luxury apartment building with concierge, rooftop deck and cafe, library, lounges and guest suites. The current asking price in this building is around 2,065,000 Yen/sqm, with apartments on the 10th floor and lower having an average price of 1,820,000 Yen/sqm and apartments on the 20th floor and above having an average asking price of 2,205,000 Yen/sqm. The average resale price to date in 2017 is around 1,800,000 Yen/sqm, up 4.6% from 2016 (1,720,000 Yen/sqm). This was a south-facing apartment on a mid-floor with city views. It sold for approximately 21% more than it last traded for in early 2009. A 15-story building with 55 apartments in Minato’s Shirokanedai neighborhood. This apartment was on a low floor and looked directly over the historic Happo-en estate on the southern side. In 2014 a similar sized apartment on a low floor sold for 1,496,000 Yen/sqm, indicating a potential appreciation of around 15.8% over the past 3 years. There are currently two other Happo-en-view units for sale in the building with prices ranging from 1,830,000 ~ 1,975,000 Yen/sqm. A 22-story apartment building located a 9 minute walk from Harajuku Station and 450 meters from the Olympic Stadium site. Although there are 111 apartments in the building, only 2 were advertised for sale as at March 2017. The asking price ranges from 1,365,000 ~ 1,510,000 Yen/sqm. This was a spacious apartment on the top floor. It has been the highest reported resale in this building on a price-per-square-meter basis since the building was completed. In mid-2008 a similar apartment a few floors down sold for 1,564,000 Yen/sqm. The average resale price in 2016 was 1,437,000 Yen/sqm, down 0.9% from 2015 (1,450,000 Yen/sqm) but up 15.6% from 2014 (1,243,000 Yen/sqm). A 24-storey high rise located a 6 minute walk from Hiroo Station. The current advertised price in this building is around 1,900,000 Yen/sqm. The average sale price in 2016 was 1,435,000 Yen/sqm, down 6.5% from 2015 (1,535,000 Yen/sqm), but up 3% from 2014 (1,393,000 Yen/sqm). This was a small apartment on a high floor. It has been the second highest reported resale in this building on a price-per-square-meter basis to date. It was sold tenanted with a gross yield of 3.9%. Two 47-storey apartment towers containing 1,000 units. The buildings overlook Hamarikyu Park and are a short walk to both Shiodome and Shimbashi Stations. Facilities include party room, sky lounge, gym, guest rooms and front desk. The average asking price is currently 1,595,000 Yen/sqm. Apartments on the 15th floor and lower have an average ask of 1,280,000 Yen/sqm, while apartments on the 30th floor and higher have an average ask of 1,865,000 Yen/sqm. Apartments over 100 sqm in size have an average ask of 1,945,000 Yen/sqm. This apartment was on a mid-floor with views directly over Hamarikyu Park. The average resale price to date in 2017 is 1,590,000 Yen/sqm, up 18.8% from 2016 (1,338,000 Yen/sqm) and up 16.9% from 2015 (1,360,000 Yen/sqm). The residential portion of Mori Building’s Ark Hills complex in Roppongi. Residents have access to a 24hr bilingual concierge desk and the Ark Hills gym and spa. It is very unusual to see apartments available for purchase in this complex, since the large majority are owned by Mori and available for rent only. This sale has been the only publicly reported sale in this building over the past 30 years. Back in late 2015, a slightly larger apartment was available for purchase for 1,350,000 Yen/sqm. It is no longer available. 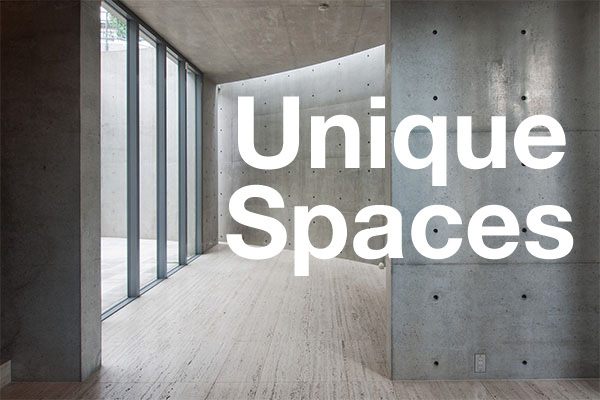 The only apartment currently available for purchase in this building is a 1-Bedroom unit for 3,260,000 Yen/sqm. A 17-storey building located just behind Roppongi’s main bar/club street and a 10 minute walk to Roppongi Hills. When apartments were sold by the developer in 2013 ~ 2014, the average price was around 1,240,000 Yen/sqm. The average current asking price is around 1,530,000 Yen/sqm. The average resale price to date in 2017 is around 1,398,000 Yen/sqm, down 18.7% from 2016 (1,719,000 Yen/sqm) and down 1.4% from 2015 (1,418,000 Yen/sqm). This apartment sold for approximately 13% more than its price when brand new. Built in 1971, this was Japan’s first high-rise residential building. When new, apartments were priced at around 200,000 Yen/sqm by the developer. Despite having 147 apartments, there were no sale listings as at March 2017. This apartment was renovated, south facing and on a mid floor. It sold for approximately 30% more than a similar apartment a few floors down sold for in mid-2016. This has been the highest reported resale in this building on a price-per-square-meter basis since late 2007. During downturns in the market, apartments in this building have sold for around 665,000 Yen/sqm. Prices peaked at between 1,100,000 ~ 1,400,000 Yen/sqm in 2007. A 53-story, 1,420-unit apartment building located on a man-made island in Tokyo bay. Construction was completed in December 2016. Since then,115 apartments have already appeared on the re-sale market, along with several cancellations by the developer. As at March 2017, there were 82 apartments listed for sale with an average asking price of 1,130,000 Yen/sqm. When sales first began in mid-2014, the average price set by the developer was around 920,000 Yen/sqm. 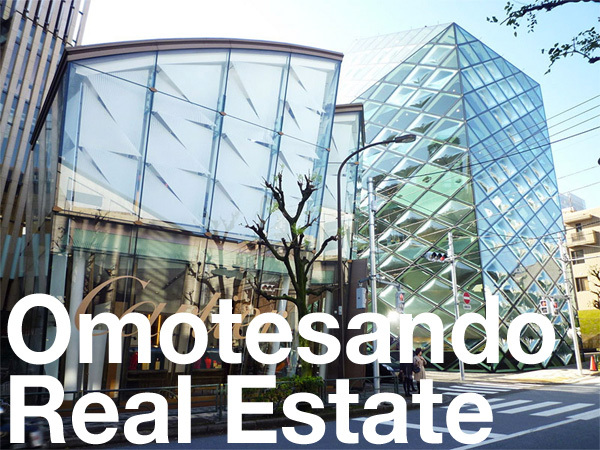 There were 4 reported re-sales in the building in March with an average sale price of 994,000 Yen/sqm. These apartments sold for an average of 12% more than their prices when purchased new from the developer. Part of a two-tower complex including the Krono Residence (2013) and Tiaro Residence (2016). Together, the two towers contain 1,744 apartments. There were 56 apartments listed for sale in this building in March, down from 61 listings in January. 3 apartments were reported sold in March with an average price of 980,000 Yen/sqm. The average resale price to date in 2017 is around 965,000 Yen/sqm, down 3.4% from 2016. The current average asking price in this building is around 1,055,000 Yen/sqm. Exchange rate is at the time of publishing the article and is subject to change (1 USD: 111.36 Yen).